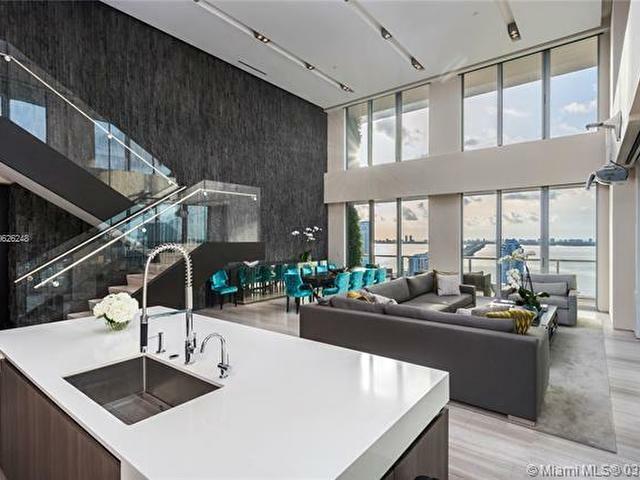 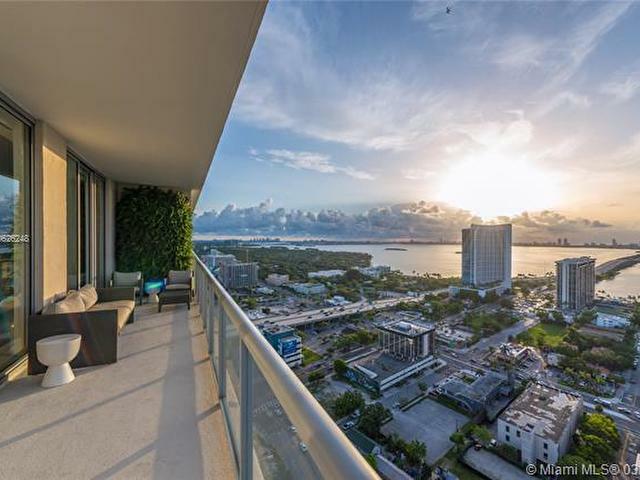 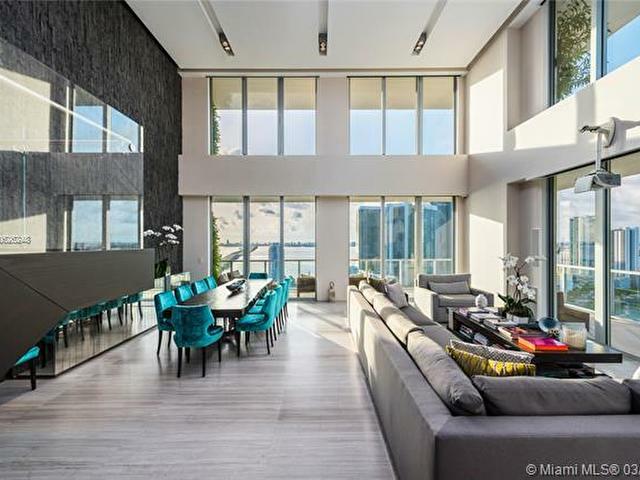 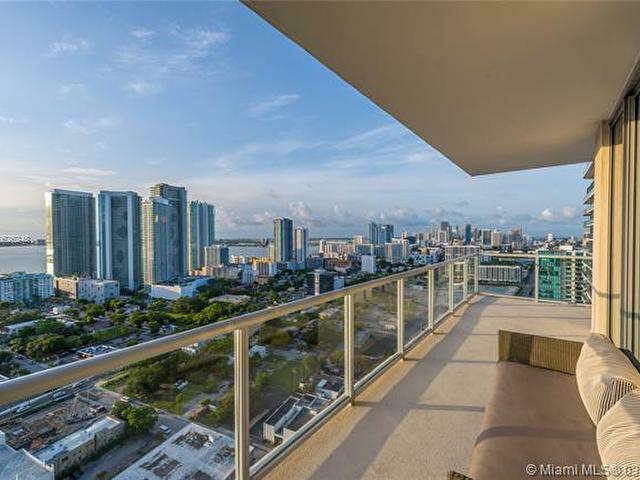 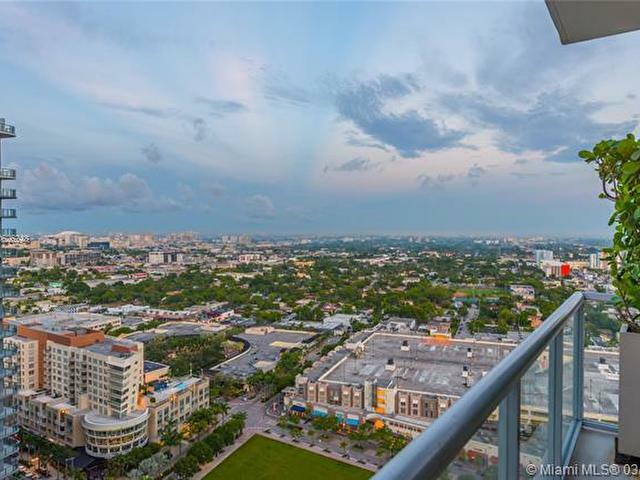 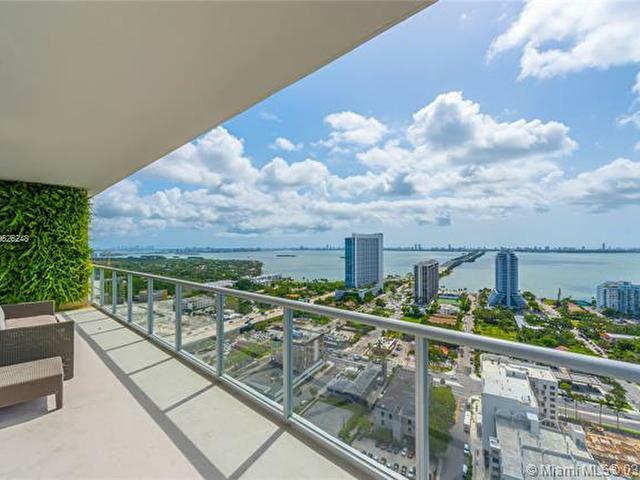 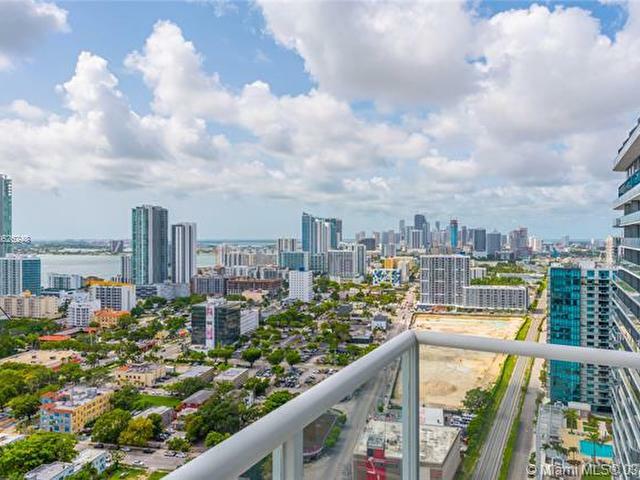 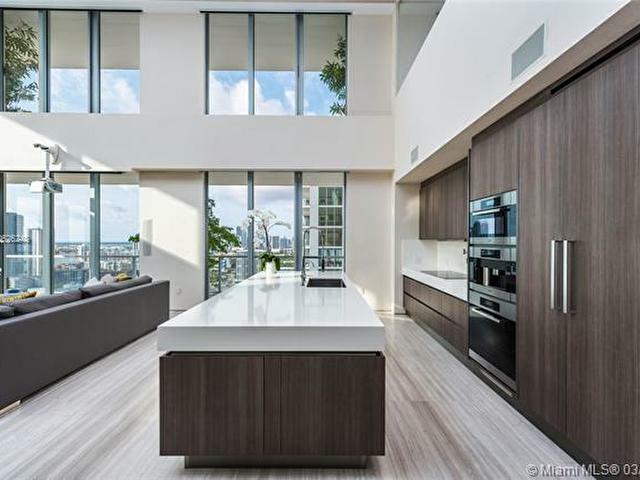 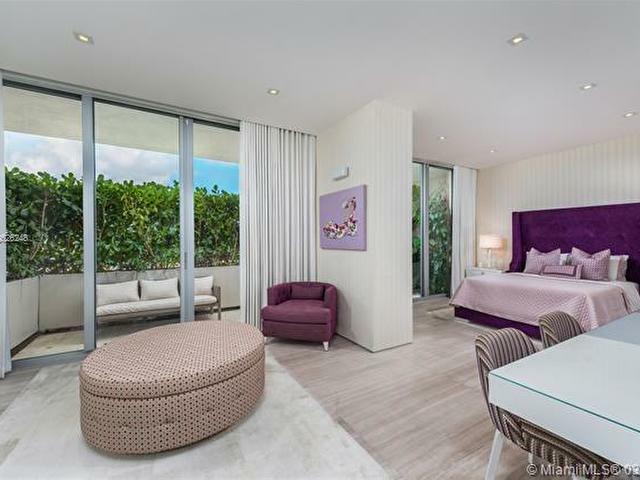 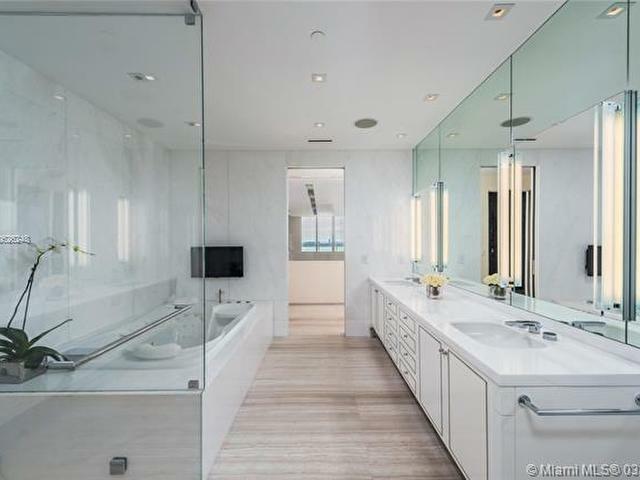 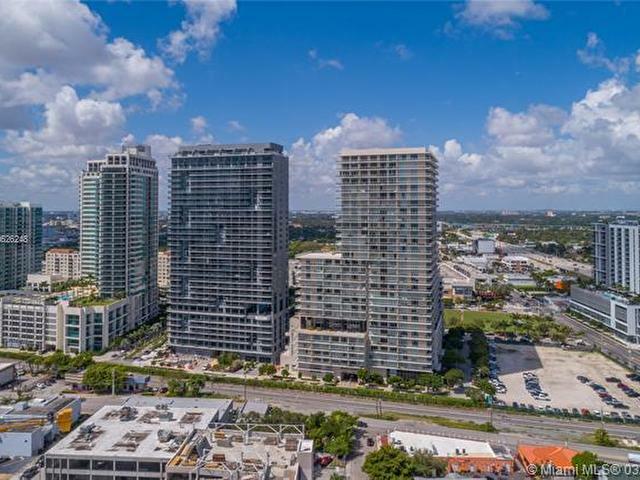 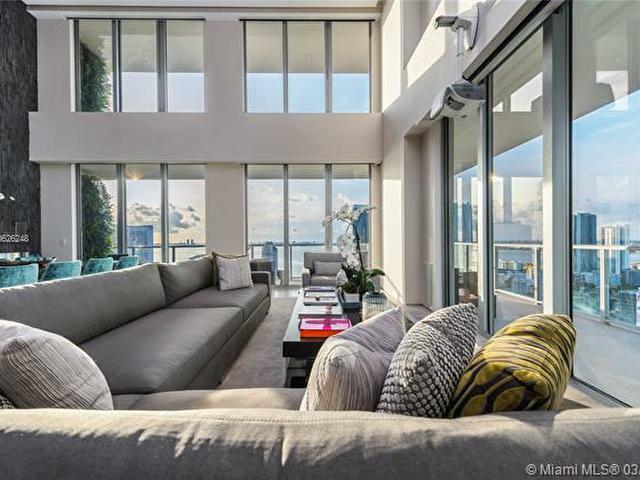 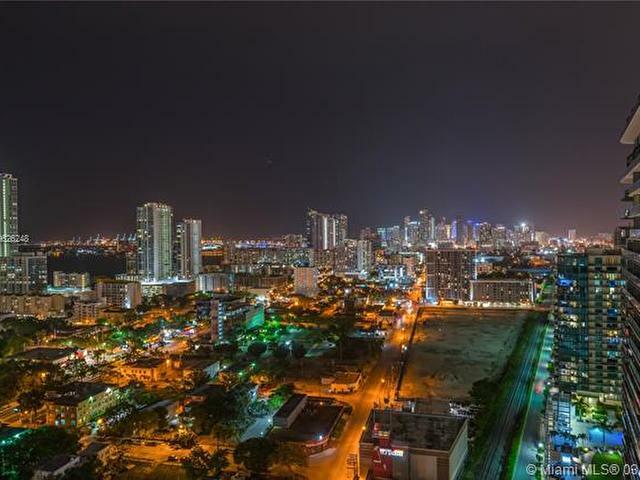 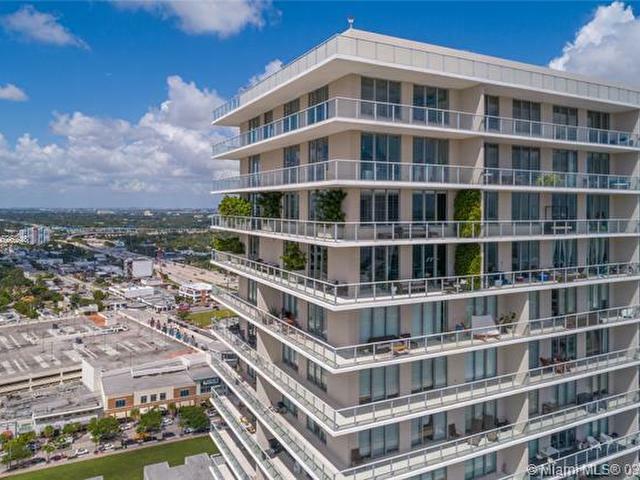 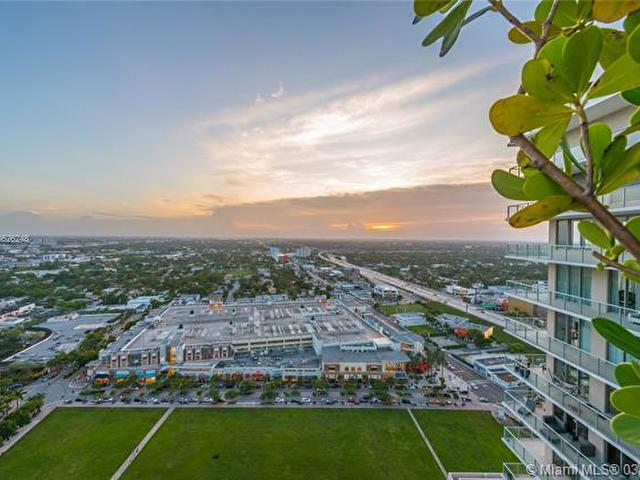 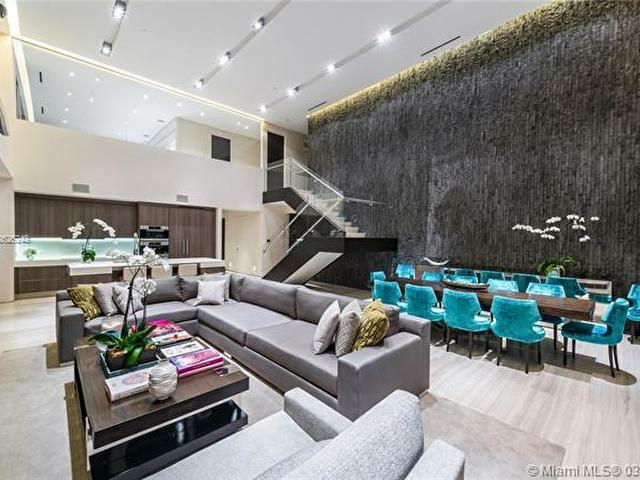 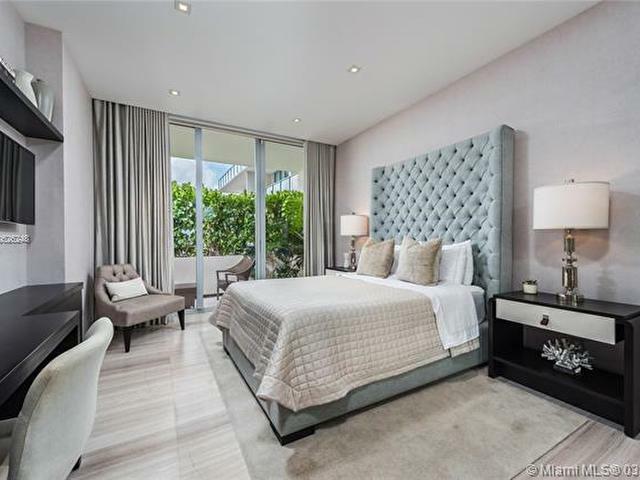 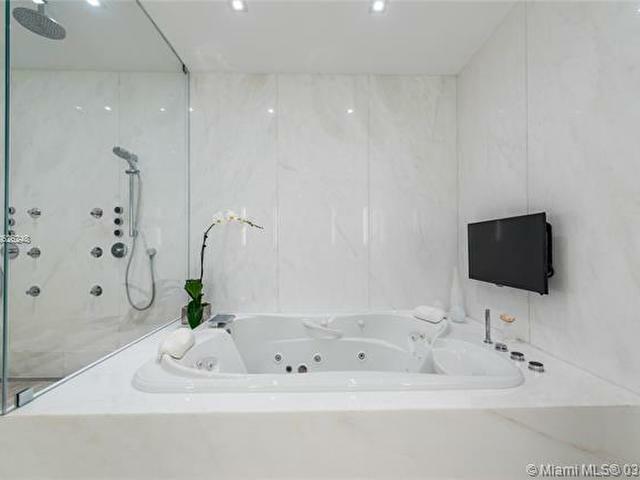 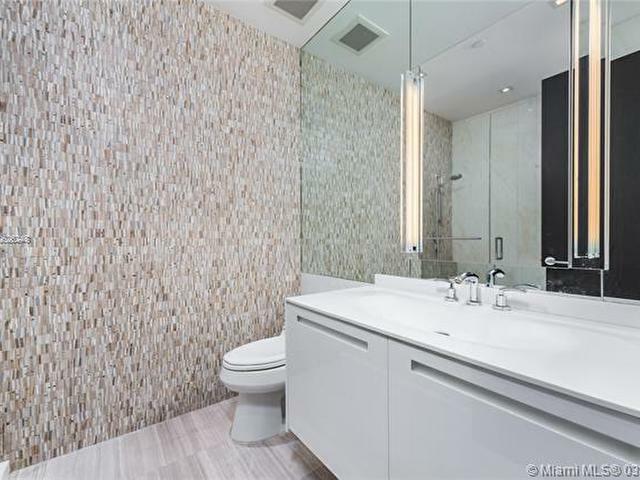 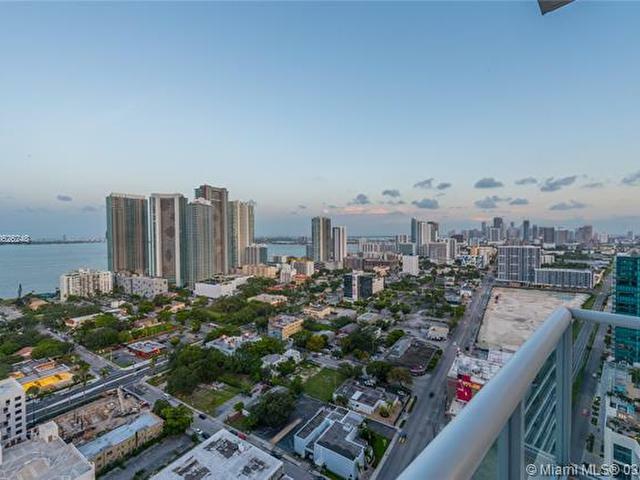 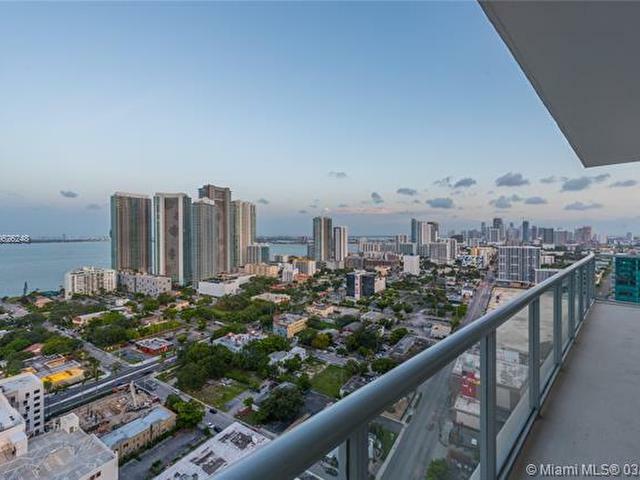 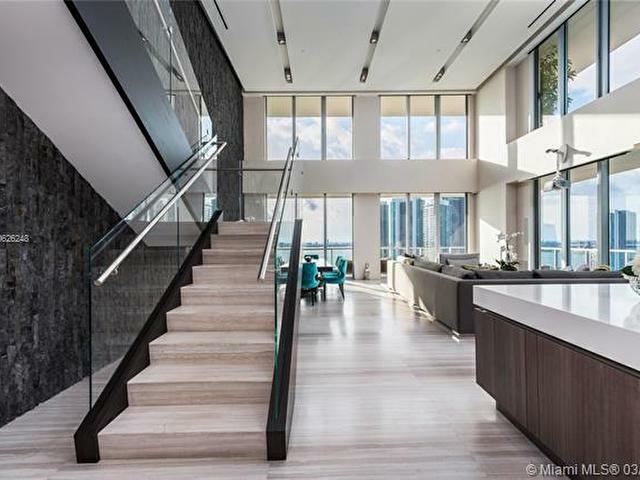 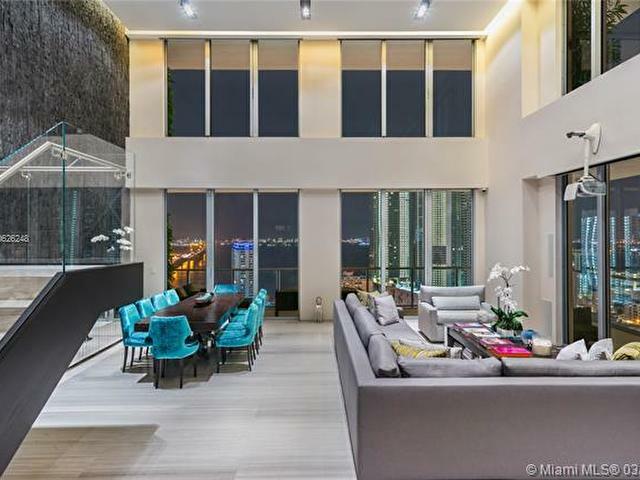 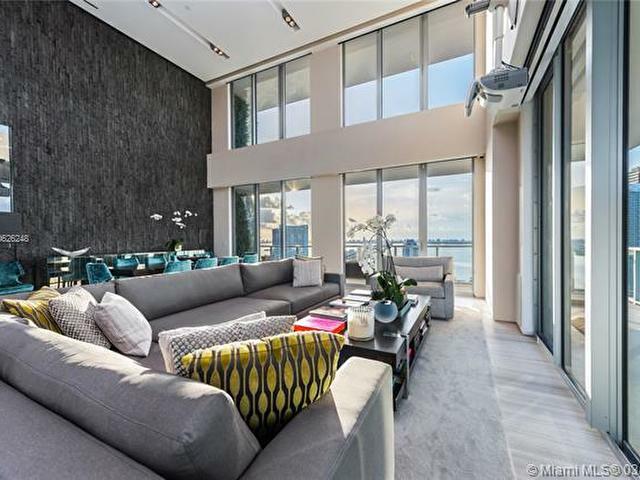 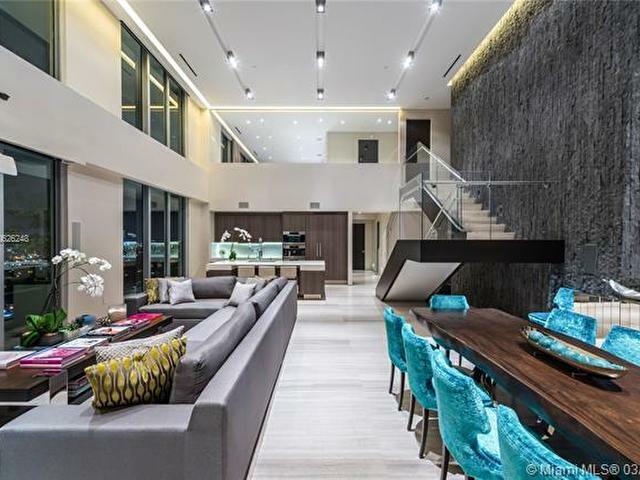 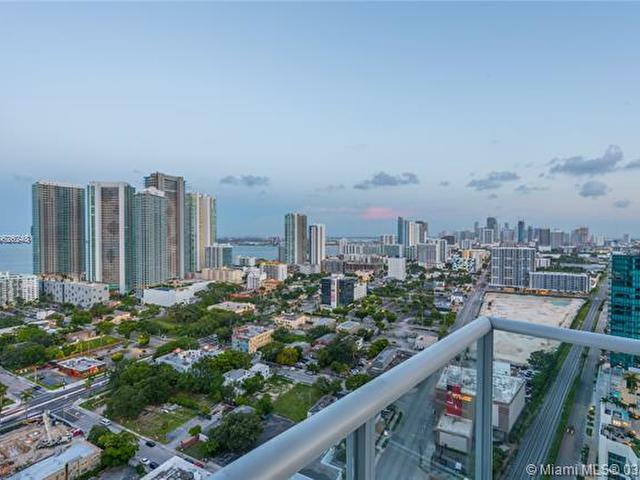 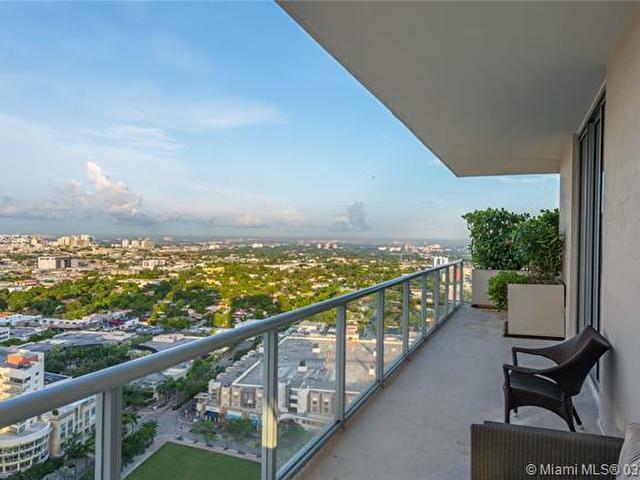 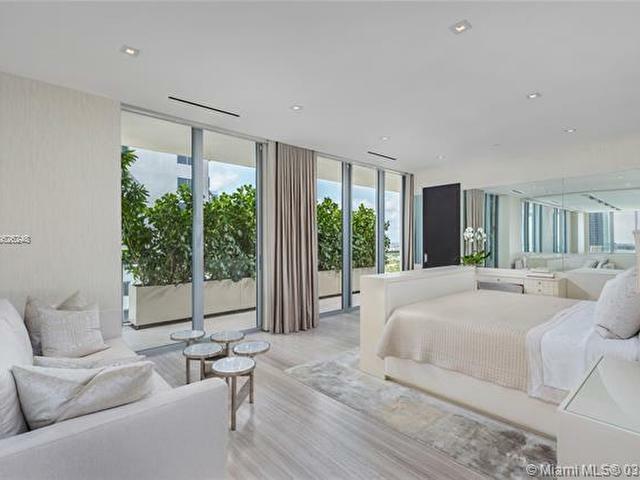 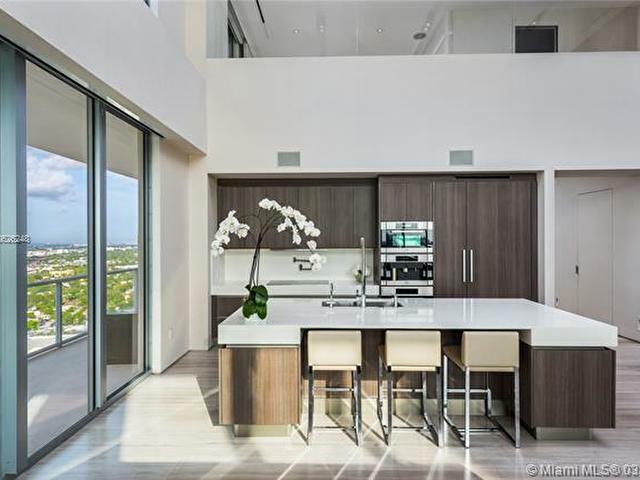 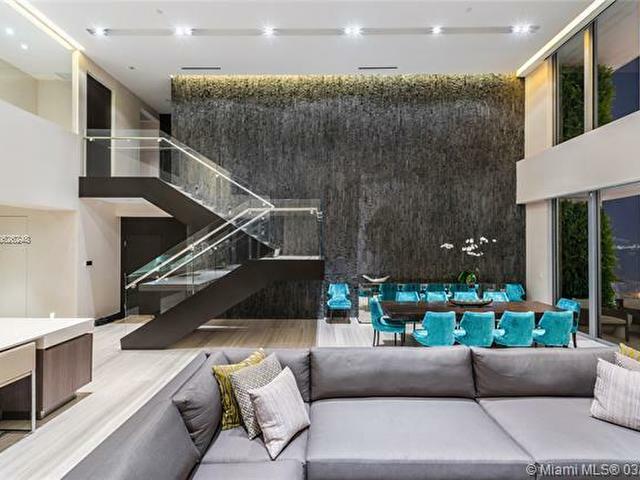 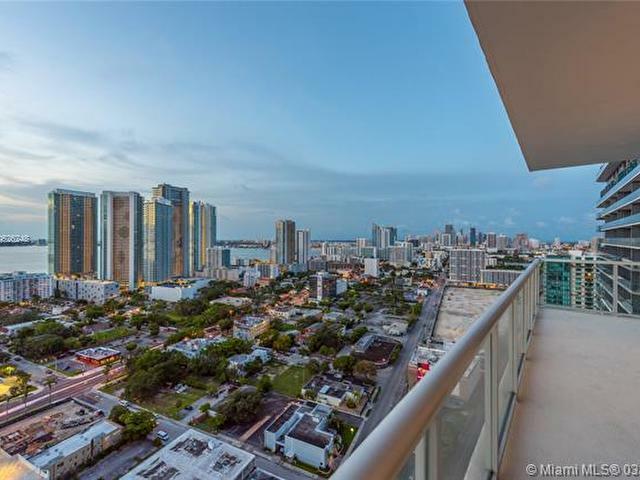 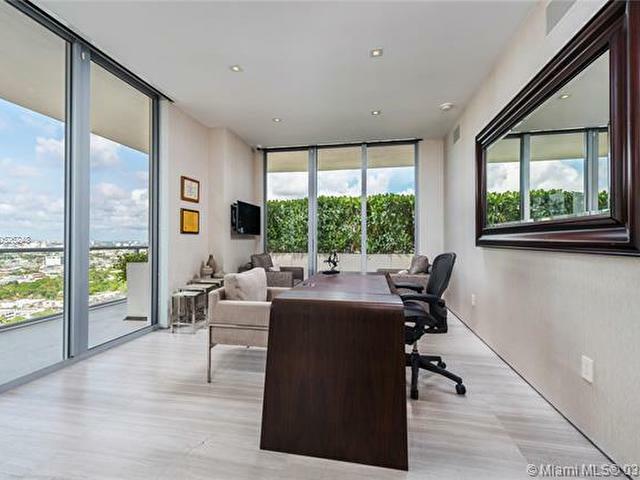 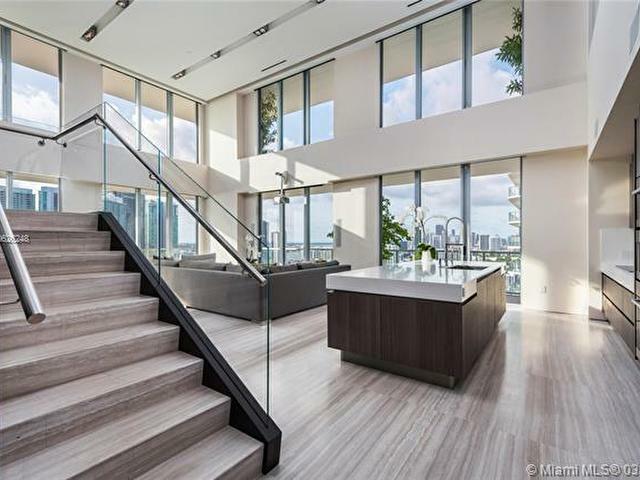 From the one of a kind-floating staircase to the beautiful sky garden, this Penthouse located in the most up and coming neighborhood in Miami has it all. 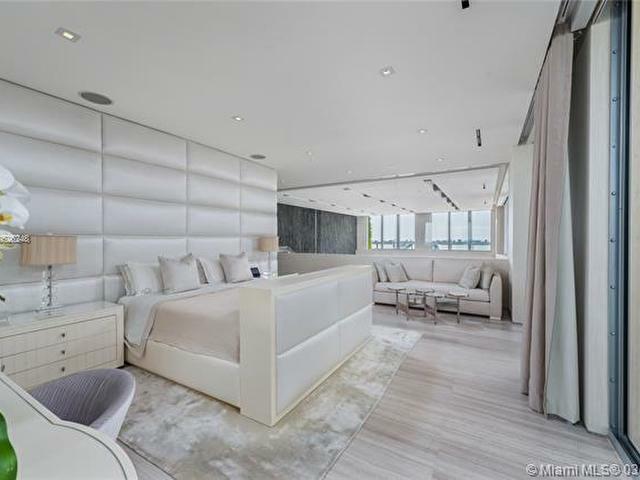 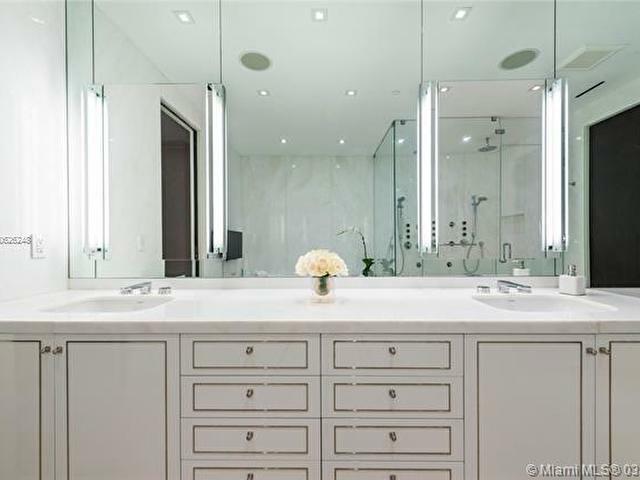 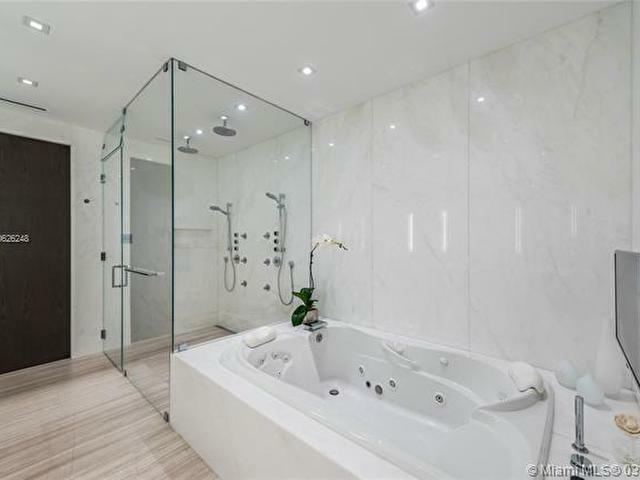 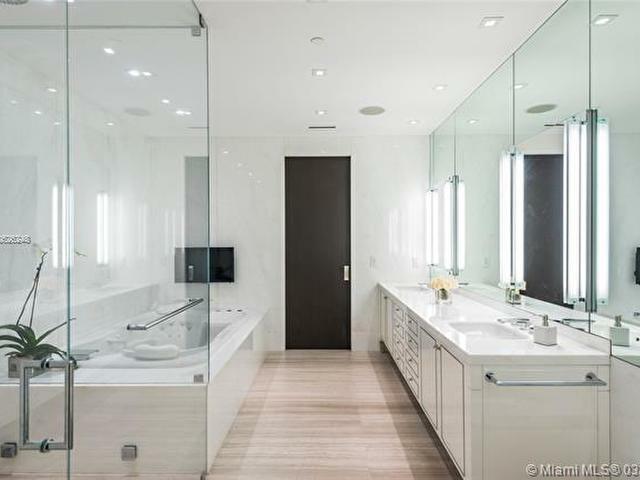 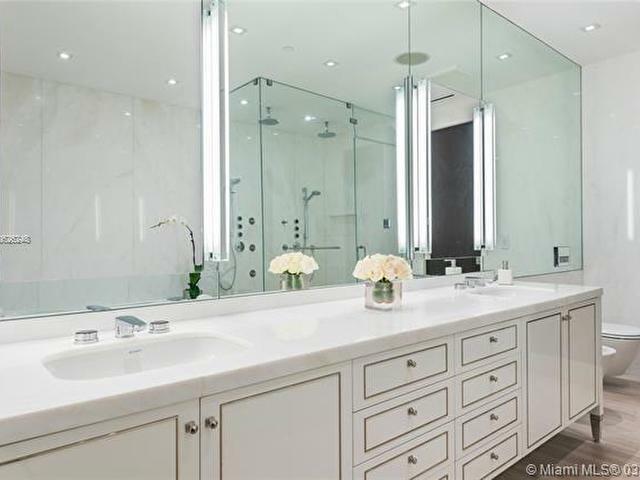 Four full suites all with 8 ft seamless doors, honed Vena Grigio marble throughout. 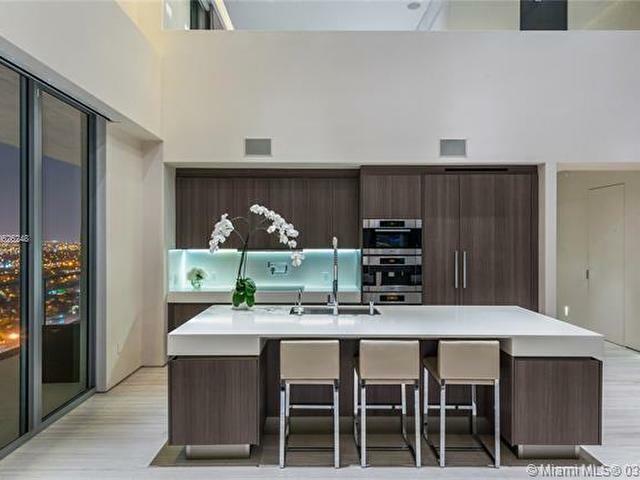 The kitchen, complete Miele appliances, Ornare custom cabinetry, absolut blanc quartz countertops & a an oversize 10 ft long island is a culinary dream. 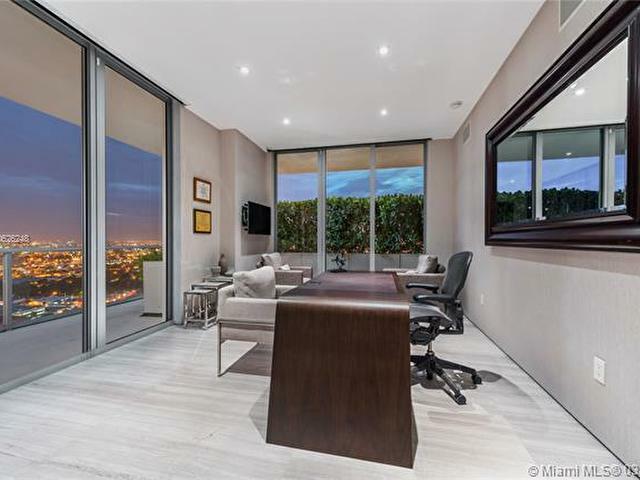 Enjoy entertaining w 2700 degree views from the living room boasting 22 ft floating ceiling or the wrap around 2100 sf terrace w two verandas facing east, south and west. 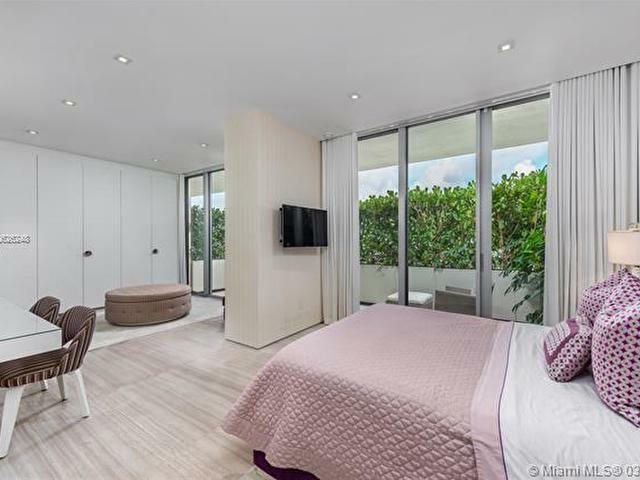 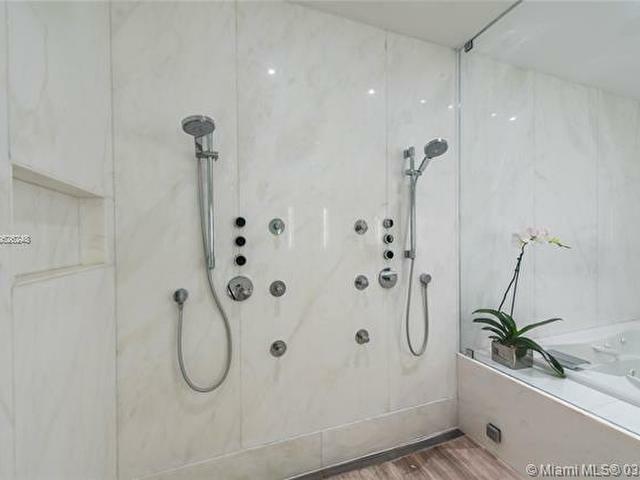 Boasting a recent $2.5M lobby renovation and countless amenities and services, walking distance to the Design District & Wynwood, Two Midtown provides the complete Miami lifestyle.